Amber is a friend of a friend who is expecting sweet twin girls! 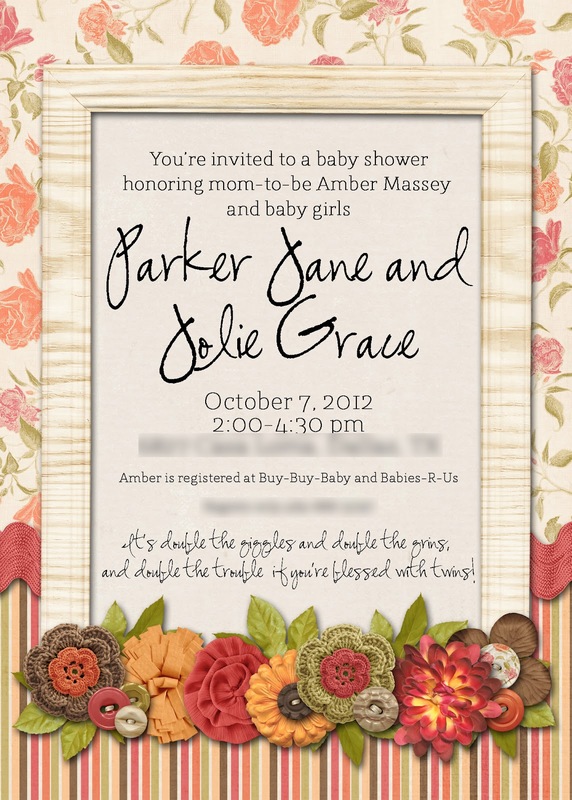 I've done lots of work for Amber, so when her husband's aunt contacted me about doing a baby shower invitation for her, I was super excited because I really love Amber's aesthetic. I thought it was girly and "fall" and perfect!